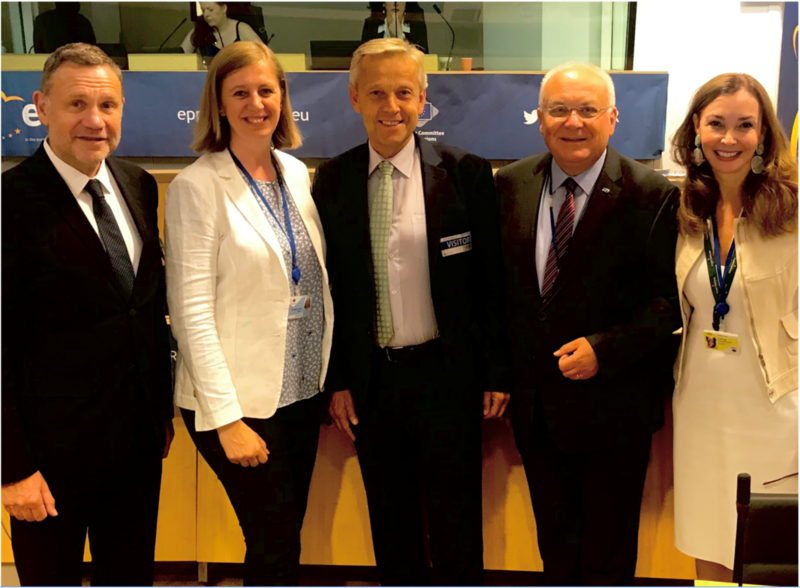 On 4th July and 5th of July 2018, 350 representatives of regions, cities and municipalities gathered for the 130th plenary session of the Committee of the Regions (CoR) in Brussels, to which Salzburg’s representative in the Committee of the Regions, Franz Schausberger, was invited. At the centre of the last CoR plenary session before the summer break, were the priorities the Austrian Presidency, in particular questions on subsidiarity, the Western Balkans, and on migration and integration. ”The priorities of the Austrian Presidency are very important for the regions, cities and municipalities, and from our point of view, the slogan” less but more efficient “always resonates with subsidiarity”, stressed Salzburger representative in the CoR Franz Schausberger and continued ,”all of the priorities that Austria tackles within the program for the EU Presidency are important topics for us, and at the same time they are closely interwoven: the issue of decentralization plays an important role, above all in the Western Balkans which are currently doing a lot in the area of migration, so migration is just as important to the countries of the Western Balkans as it is to Austria.” As a further important priority of the Austrian Presidency from the point of view of the regions, cities and municipalities, he emphasized the digitization, which is “utterly necessary” especially for municipalities. In an interview with Reinhold Lopatka, Franz Schausberger expressed the hope that “what was painstakingly worked out by the Task Force on Subsidiarity will not be diluted too much.” For us, the topic of shifting back many detail regulations from European areas of competence is particularly important to the Member States and their regions, in order to reduce excessive regulation”. 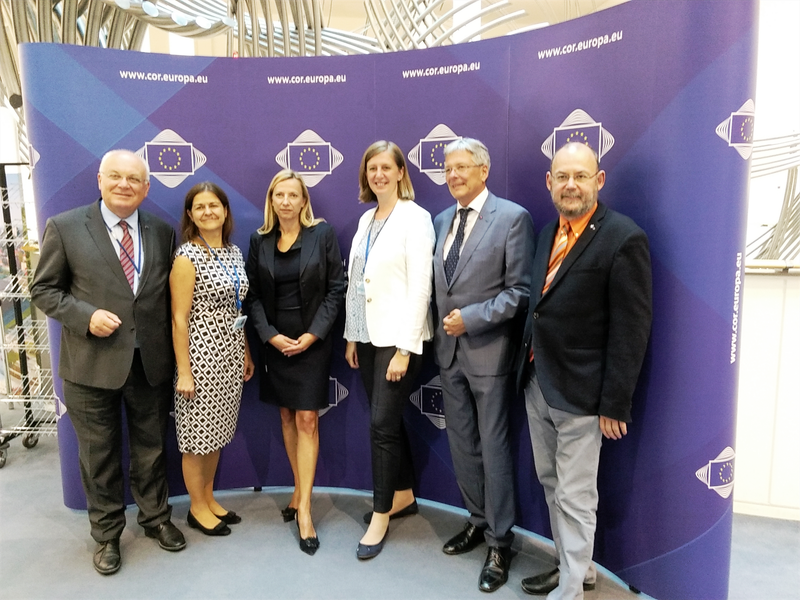 The program of the Austrian EU Presidency was the subject of discussion at the meeting of the European Committee of the Regions in Brussels on 4th of July 2018. The program was presented by Austria’s Minister for Women, Families and Youth, Juliane Bogner-Strauß, to 350 representatives from over 200 European regions. The representative of the Land Salzburg in the Committee of the Regions and IRE Chairman Franz Schausberger thanked the Austrian Minister for the clear and concise presentation, pointing out that there would have been easier times for an EU Presidency than at present. He supported Minister Bogner-Strauss’ statement that the motto of the Austrian Presidency “For a Europe that protects” is not only about migration issues, but is meant in a comprehensive sense, including economic and social security.